A House committee is seeking information from the Trump administration on a broad range of topics, including meetings with Russians, hush money payoffs and information related to the president's taxes. The wide-ranging investigation of President Donald Trump kicked off Monday by the House Judiciary Committee is just one of many probes the White House will be dealing with in the weeks and months ahead. A House committee controlled by Democrats is seeking information from the Trump administration on a broad range of topics, including meetings with Russians, hush money payoffs and information related to the president’s taxes. The investigations go beyond the pending report of special counsel Robert Mueller into allegations of Russian meddling in the 2016 election. That report is expected to be released soon. The president’s former attorney, Michael Cohen, helped move along Democrats’ efforts to carry out their own investigations with his damaging testimony last week. 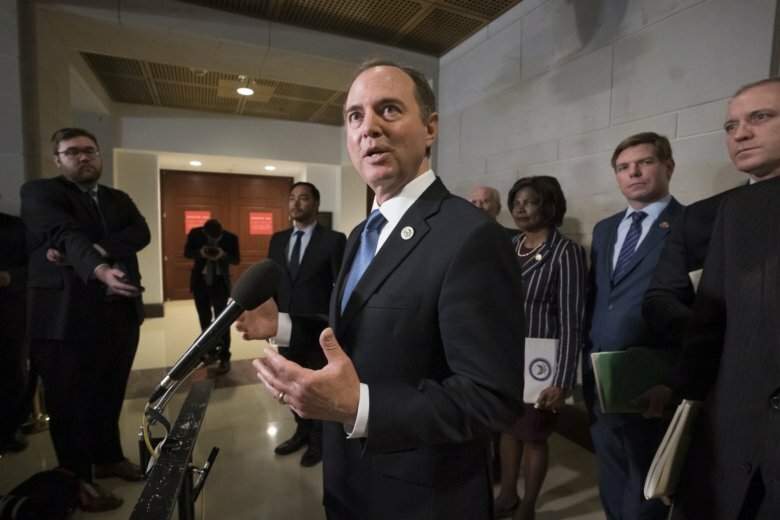 He is scheduled to testify again this week, behind closed doors Wednesday, before the House Intelligence Committee. Rep. Gerry Connolly, D-Va., is a member of the House Oversight and Reform Committee, the panel which Cohen testified to last Wednesday. “I happen to believe the Trump organization was — and is — a criminal enterprise,” said Connolly, noting that his panel and the Judiciary Committee should be looking into issues raised by Cohen’s testimony. Cohen said that Trump was involved in the $130,000 payoff to Stormy Daniels, who said she had an affair with Trump years ago. Cohen testified that she was paid off in the weeks before the end of the 2016 presidential election, to keep the issue quiet. Trump has denied having an affair with her. Connolly said Cohen “set a very rich table” to investigate. But, Connolly also cautioned his fellow Democrats against being too eager to seek congressional testimony from members of the president’s family about various issues involving his businesses and other matters. “I think we should tread lightly on compelling testimony or appearances before our committee … of members of the direct Trump family,” Connolly said, adding that the “optics” of that would not be good. Republicans and the president are highly critical of the series of investigations underway. Rep. Jim Jordan, R-Ohio, an ally of the president, went after the chairman of the Judiciary Committee, Rep. Jerrold Nadler, R-NY, on Twitter. Though the Judiciary Committee request is getting a lot of attention, other panels are also expected to spar with the Trump administration. The House Ways and Means Committee is expected to make a formal request for Trump’s tax returns, which he has not released. The House Oversight panel is seeking documents on several issues, including White House security clearances. The top-secret clearance of Jared Kushner, the president’s son-in-law and a White House adviser, has come under scrutiny since The New York Times reported that Trump used his power to push it through, despite the concerns of intelligence officials. This Wednesday, the House Homeland Security Committee will hear testimony from Secretary of Homeland Security Kirstjen Nielsen about border security issues. The hearing comes as the Senate prepares for a vote on a resolution that would block the president’s national emergency declaration to get money for the border wall. It’s now appearing likely a political rebuke from the Republican-controlled Senate will take place. Sen. Rand Paul, R-Ky., over the weekend indicated he will vote for the resolution, in part because he feels it undermines Congress. Republican Sens. Susan Collins, of Maine; Lisa Murkowski, of Alaska; and Thom Tillis, of North Carolina have said they will vote for the resolution. If no Democrats vote against the measure, it would pass, since Republicans only have a 53-47 margin in the Senate. Trump has said he will veto the legislation if the Senate approves it. WTOP’s Capitol Hill correspondent Mitchell Miller reported from Washington, D.C.